London, Jan. 11, GNA – The search is on for the next President of the World Bank following the sudden resignation of the incumbent, Dr Jim Yong Kim, on January 7. He will leave his position on February 1. World Bank CEO Kristalina Georgieva will step in as interim President until a permanent appointment is made, according to a statement from the Bank’s Board of Executive Directors. The Board has announced a nomination period from February 7 to March 14 for candidates interested in replacing Dr Kim, who was first elected in 2012 and secured a second five-year term in 2017. He is leaving the role with three years left to serve. At the end of the nomination period, the Executive Directors would decide on a shortlist of up to three candidates and publish the names of the shortlisted candidates with their consent. Formal interviews would be conducted with the expectation of selecting the new President before the Spring Meetings of 2019. Although the US, has traditionally had its choice of candidate appointed, in 2012, Dr Kim, who was proposed by former US President Barack Obama, was strongly challenged by developing countries. Nigeria’s Ngozi Okonjo-Iweala, then the country’s Finance Minister, presented a strong challenge to Dr Kim. Under Dr Kim, the Bank became embroiled in a number of controversial issues – climate change and funding for development. However, Dr Kim said in a statement that he was stepping down voluntarily, adding that he was leaving to join an investment firm with a “focus on increasing infrastructure investments in developing countries”. There have been mixed reactions to the departure of Dr Kim who, in 2013, stopped the Bank from funding the production of fossil fuels, such as coal. In London, the Global Warming Policy Forum (GWPF) said it welcomed his departure, accusing him of turning “the World Bank into a green think tank, betraying its core mission of lifting the world’s most disadvantaged populations out of poverty”. The GWPF said in statement: “Under Dr Kim, the World Bank imposed an almost total ban on the financing of coal-fired power stations, despite coal being one of the most cost-effective means of generating low cost, reliable electricity. Rupert Darwall, author of the 2017 GWPF report, The Anti-Development Bank: The World Bank’s regressive energy policies, said: “Access to low cost, reliable electricity is critical to transforming the lives of those in poverty. “During Dr Kim’s tenure, the World Bank lost its way and sacrificed the interests of the poor to green ideology. 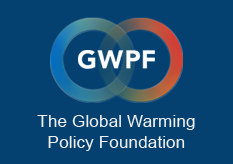 The GWPF paper said cost-effective policies were no longer adhered to by Dr Kim. “He has overruled the cost–benefit estimates of the superiority of coal-based over solar- and wind-based power generation produced by his own economic staff, justifying this by reference to a wish to cut global emissions of greenhouse gases,” said Prof Deepak Lal, former Research Administrator at the World Bank and a member of the GWPF’s Academic Advisory Council. “In 2013 the Bank adopted anti-coal funding policies, which, as the paper shows, prioritises the green environmental agenda over its core developmental mission of poverty reduction. “I commend this paper to all those who are sincerely concerned with alleviating poverty – particularly in Africa, since China and India no longer need World Bank money or advice – and who are not seduced by the siren voices of the eco-fundamentalists,” he added.